I can’t believe Noble is nine, ALMOST ten months! Where is the time going? I must admit the last few months have been extremely exciting, we now have a baby that is constantly on the go. He started to crawl about a month ago, it took him a few days to get the hang of it but since he figured it out he has not stopped. It really is amazing to watch the change in him, and see him develop and grow right in front of us. He is learning so many new things and each week there seems to be a new milestone to celebrate. We have had to baby proof the entire house, everything has been moved up and the baby gates are now installed. He has not figured out how to open the kitchen cupboards yet but I think it’s only a matter of time. The good news is, although it was a very busy spring, things have slowed down a bit this summer. We have been able to go to the cottage and found a bit more family time. I’m doing my best to bring the stress levels down and to focus on the family because it has really occurred to me how fast the time is going. It seemed like when I was pregnant everyone wanted to warn me about how much things would change once I had a baby and how quickly the time would go. They did not lie. It is hard to see the change, it happens bit by bit each day and it’s really not until you look at the pictures that you realize how much change there has been. Each time I scroll through my iPhone I’m amazed at how much he has grown, I can’t even imagine what it will be like a year from now. As I think about the last h nine months one thing stands out, how much I have loved it. It truly is the best thing that has ever happened to me. Of course it is not always easy, and there are times when I wish I could hide in the closet with a bottle of vodka, but those moments don’t last long. The main reason I think those moments pass so quickly is because Noble has given me the greatest gift, he has taught me how to be more present. Being with him over the last nine months, and being aware of how quickly everything changes, has given me a new appreciation for living in the moment. Watching his pure pleasure as he plays with a blade of grass, or listening to him laugh hysterically when we play peak-a-boo, forces me to stop and truly be in the moment. Nothing seems to matter as much and the everyday stresses of life suddenly seem less important. Spending time with him and seeing the world through his eyes has helped me to learn how precious life is and allowed me to develop a greater appreciation for the smaller things. 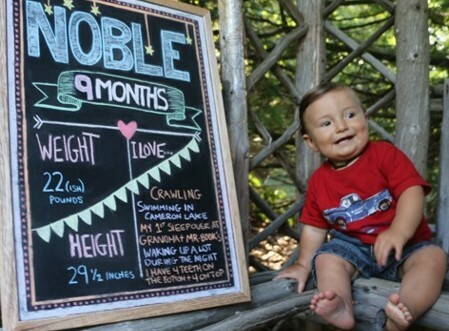 I feel so fortunate that I’m Noble’s mom and can’t wait to see what the next nine months bring. 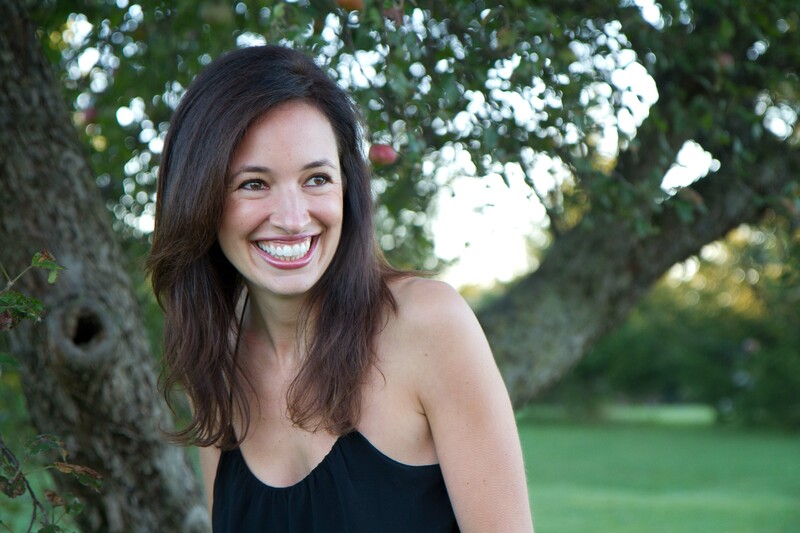 What has been your biggest lesson as a new mom? What has been your favourite moment or the biggest challenge you’ve had to overcome? I would love to hear about your experiences below.